If you’re any kind of online publishers like blogger, internet marketer or a small business owner, you might have known the importance of building an E-mail list. Yes! Email marketing is an excellent internet marketing tool to generate new leads and expand your business since it is a direct way of communication with your audience. Not only to communicate, I would say that the list building strategy is the best way to maintain a good relationship with your readers. In addition, sending regular newsletters will let you build your brand and constantly bring back your audience. Spamming is very less in Email marketing and it is more likely to reach your target audience quickly. Out of all, Email marketing is a cost-effective tool as it doesn’t require any big investment to start with. I’m hearing your mind voice that you’re puzzling on how to increase the number of email contacts and what are the basic rules & tips to create a perfect email for your subscribers. Am I right? You don’t need to jump anywhere from here! 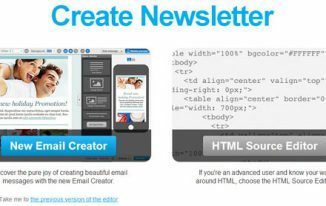 Here are the two awesome guest posts contributed by my good friend Erik Emanuelli on Email marketing. I’m sure, that you’ll grab some exceptional advice from them, just have a look! So, now you’ve grasped the Email marketing essentials to personalize your business emails for your audience. Here comes the main mystification! How to choose a right email marketing service provider? Is this your puzzlement? Am I guessing exactly? If you say “Yes”, then the following details would help you to select the best Email marketing software to promote your business. My regular readers know me well that I’m an avid blogger who always work on several blogging strategies to make my blogs authoritative ones! Like other passionate bloggers, I focus on list building too and I’m using a superior Email marketing service, MailChimp to send blog updates for my beloved subscribers. As there are plenty of Email marketing software available in the market, I’ve decided to check out some more tools for my new blog projects. This made to craft this post by comparing the 3 Email marketing tools, GetResponse, MailChimp and ConstantContact. Let’s begin to compare the features of these 3 popular Email marketing software now! By considering some key features, I’m gonna evaluate the 3 well-known Email marketing tools. So, you’ll recognize which tool is good in what feature! But, before comparing their salient features, let me tell you some common qualities of GetResponse, MailChimp and ConstantContact! Now, it’s time to compare the remarkable features! If you give more preference to specialized look for your newsletters, it would be good to opt GetResponse as it offers more than 500 free templates and thousands of stock images to create unique email designs with its eventual drag & drop editor and sleek-looking templates. 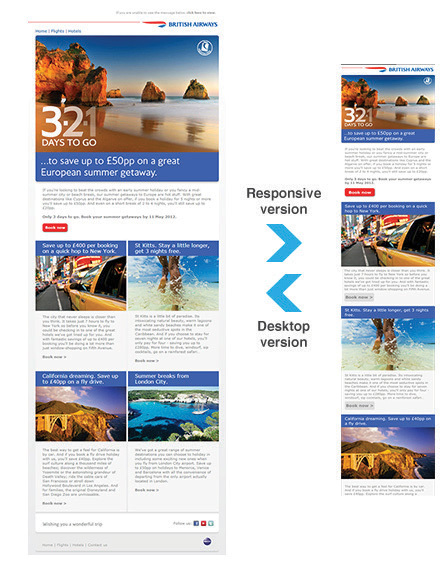 Mobile responsiveness becomes more important and while talking about the mobile responsive feature, GetResponse seems superior to its rivals as it has the mobile responsive technology. If you wish to have a great look of newsletters and autoresponders on mobile devices, go for GetResponse than MailChimp and ConstantContact. Both MailChimp and ConstantContact are relatively easy to use, but both can be difficult to navigate. GetResponse is very easy to use and user-friendly as well. It has simplifying options where you can easily understand them without any hassle. 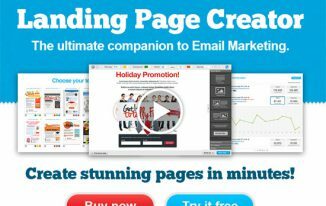 Some people like me may need the Email marketing software with easy integration to other services like survey tools, coupons codes, Google Analytics and so on. If you’re looking for a great tool with such integration features, it would be good to choose the MailChimp. You may check its Google Analytics to pick the needful services. When testing the personalized features of these three Email marketing services, I’ve realized that the MailChimp is the best since it has several exciting options such as Entrepreneur, Growing a business and High volume sender. Moreover, it gives you the chance to personalize your “To” field of emails in Newsletters and offers the subscriber rating system to rate the user engagement with your mails. In order to drive subscribers to a higher level of membership and market your existing content, it would be good to use Autoresponders. I specifically looked for an Email marketing tool with an excellent autoresponder and I found GetResponse is the best. 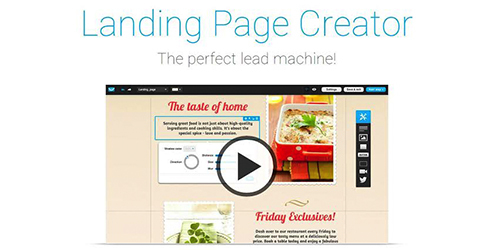 Yes, it has user-friendly autoresponder with the easy split-testing feature. Furthermore, it has flexible and sophisticated List Segmentation feature to set behavior goals for your subscribers and track the required data. If you wish to try any of these software for free, my recommendation would be “ConstantContact” because it offers 60 days free trial where you’ll be allowed to involve more with campaigns. Also, there is no CAPTCHA or phone code involved here and thus free trail is much easier and handy in ConstantContact. When checking the phone support feature of these Email marketing service providers, I came to know that the MailChimp do not have any voice support for those looking for help and this is its big downside. GetResponse has this feature but it is not available 24 hours a day. However, ConstantContact holds good support options like live chat, phone and email. Most of the newbie want to learn how to build their email list and sending newsletters to the subscribers. If you also wish to gain knowledge on the same, you may prefer GetResponse as it has full university for those who are fresher in Email marketing. Have a look at the pricing plans of the three list building resources! Deliverability rate is most important to the success of any kind of Email marketing. In simple words, it is the success rate of in getting the emails delivered to the subscriber’s email address. 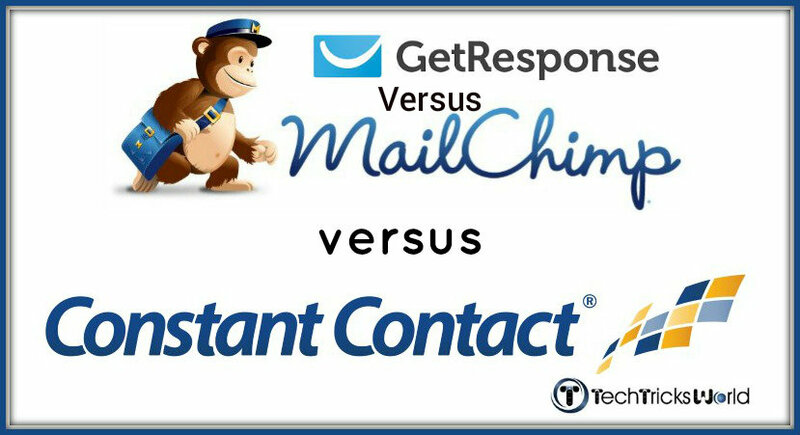 Have your view on the deliverability rate of GetResponse, MailChimp and ConstantContact. If we compare some other features like landing page creator, importing contact directly, having user engaging website and attractive interface, GetResponse seems better than the MailChimp & ConstantContact. “Don’t you check your mails after waking up from your bed?” The first thing I do in the morning is checking mails than looking at the social media updates. Emails are more powerful to grow your business and it has measurable benefits over other marketing channels. If you aren’t incorporating Email marketing strategy for your business, then I’d say that you’re missing some great benefits that can perk up your product/service sales and user engagement. For every online business, the selection of an email provider is a key decision, as there exists a number of email service providers. From the above comparison, it is clear that the GetResponse is finer than the other two tools for the features like professional look, ease of use, deliverability rate, autoresponder and have good pricing plan. Hence, it would be a perfect tool to create targeted and customized email marketing campaigns for your great business growth. Even though the GetResponse has some feature limitations, it is ideal for both business and individuals with huge lists. Besides, if you go for its premium plans, it is cheaper than its competitors. You may choose the suitable one for your business needs, but I would recommend giving GetResponse a shot. I’m done! Now, it’s time to hear you opinion. Do you know the importance of email marketing? Have you built your subscriber list to send updates? Which Email marketing service are you using? Are you satisfied with its features? Chat with me through the comment section. This is a through comparison of the top email marketing services. I personally use mailchimp because its free for the first 2000 contacts. I think thats where mailchimp wins the market. I would love to try getresponse anytime soon. choosing the right tools is indeed really important for online businesses. And for email marketing is not exception. 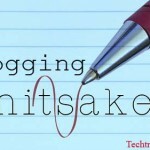 Your post will surely help to choose the right ESP. Thanks for your confirmation Erik. Glad you liked the post. You deserved to be mentioned. That’s a fine brief post with 10+ comparitive points between those three and seems well researched. Happy to know GetResponse won this game. Yes , even me after I wake up , do check up my mails for latest posts as I’m a avid subscriber and commentor. Thanks for the definitive guide for choosing perfect List Building tool. Thanks for reading the post, Justin. As you are committing that you check emails for latest post, it is clear that people enjoy getting updates in their email and thus email marketing is important for blog owners. Well to be honest I have tried Mailchimp only and the rest ones like getresponse and constantcontact are totally new tome interms of features and working. Thanks for sharing your views Samir. Yes, for low number of subscribers, its great. I will vote for Mailchimp, the only reason is their FREE feature till first 2000 subscribers. This is a priceless stuff for a beginner while every other such services are provide less stuff or charge. But, I am not happy with mailchimp subscription forms as its very ordinary and don’t have much options to choose by default. Yes, because its free for 2000 subscribers, many bloggers and small business owners are using it. Yea the forms are very simple ones. thanks for this good sharing information. Thanks Rumah for your comment. thank you for the comprehensive review and comparison of the three leading email providers. Interesting to see that you have left out aweber though. Mailchimp allows 2000 free subscribers though which is enough for a lot of small scale blogs and new businesses. However if you need autoresponders and more features – their paid plans are pretty much at par – cost wise – with any other providers. In other words, not cheap! 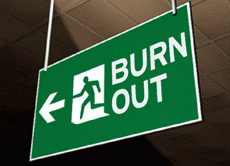 Shobha Ponnappa recently posted…Customer experience expectations: what brands should know! Thanks for the comment. yes mailchimp’s free version gives many new businesses and small bloggers opportunity to enjoy professional services. 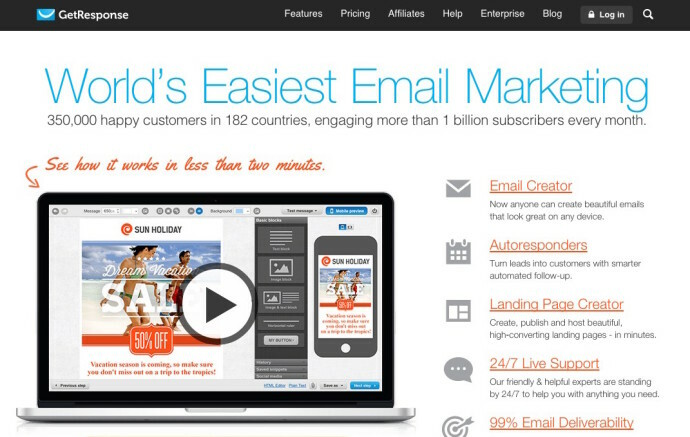 If mailchimp start offering autoresponder in free version then it will be great. Once there was a time when Mailchimp top the charts for managing and sending email campaigns. But, getresponse is something better both in terms of the work it deliver with the cost per month as compared to other two platforms. Thank you so much for your views Aditya. What a wonderful comprehensive review you have done comparing the three most popular email providers. I have been using Get Response for years. I also use Send Reach. Both of which I like and guess I’m comfortable with. They both have good customer support and I can do many things with it. After taking a closer look at Mail Chimp, I see they have come a long way and do have many proponents I like. Hmmm Time to make a change? Glad to see you here. Mailchimp is doing great now and you can give it a try if you are already using getresponse. Hey bro, kindly suggest me any email marketing tool to build a list at least of 5000 at low rate or for free. Last week i used a free email marketing tool all the things were awesome, but worst thing was that all the mails sent by that software was going in spam. And when i search for solutiin they are asking for to buy pro version. What should i do?? I am sending emails via MailChimp free version and it’s not going to spam. Why don’t you go for pro version if you have so many followers. 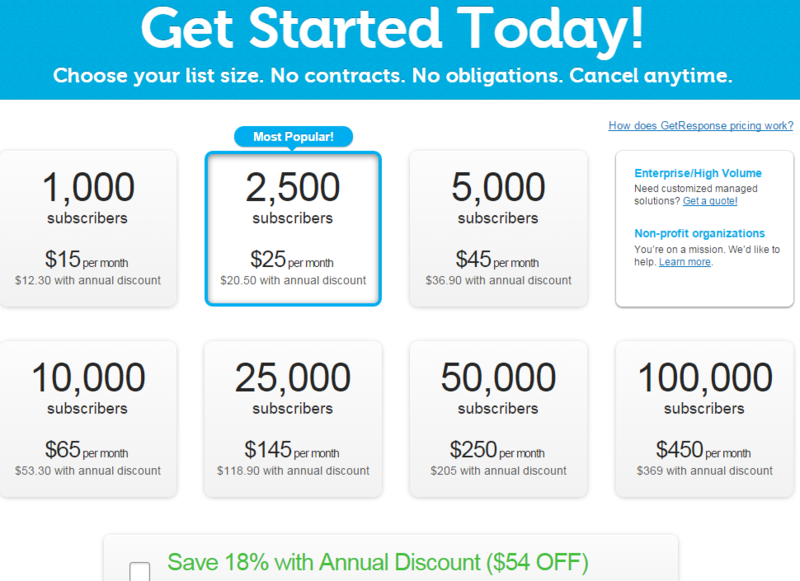 I doubt any free service offer for 5000 Subscribers. Surely, the importance of email marketing cannot be underestimated. 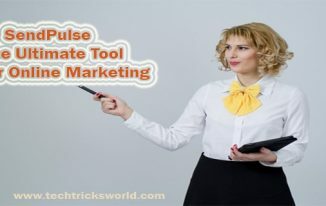 The three tools compared here for email marketing have features that makes it hard for the new marketer to choose from. The brands are popular but it is clear that GetResponse is easy on the budget that MailChimp or ConstantContact. Hence, it would be wise for a beginner to startout with GetResponse as they all have easy features! 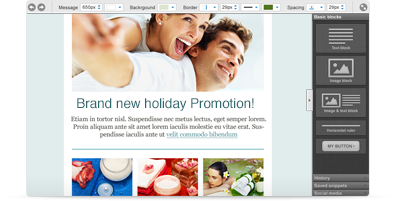 Very nice post on email marketing. Am also using emaail marketing and generating daily lots of leads and earning money. I will be wait foe your new post on advanced email marketing techniques including working tips for getting more email subscribers.